An 18 inch, 18 AWG zip cord cable. It has a standard SAE two prong connector on one end a 12V FCLA receptacle on the other. The SAE plug connects directly to the solar charger and the FCLA can be connected to various electronic devices. 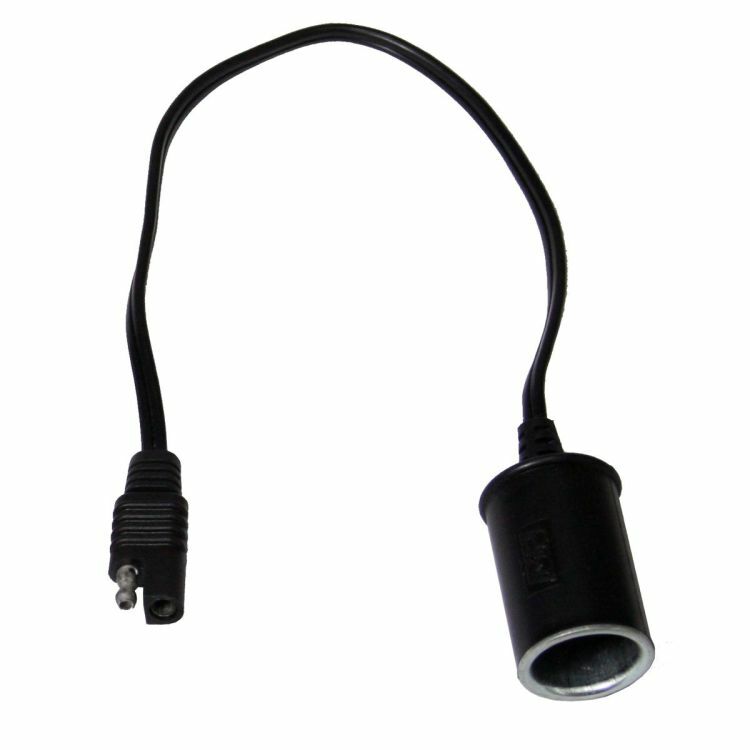 This adapter is specifically meant to be used with our P3 Solar foldable solar panels, as it has its polarity reversed versus other SAE adaptors. Plug the SAE adapter either directly into the panel or solar controller (recommended), which will provide a female 12v cigarette lighter receptacle. Use for solar applications only, not to be use with standard battery charger applications. *Flat Rate shipping is for the lower 48 states only. Do you own the 22700-2RC? Please, tell us what you think about it. It helps us provide you with better products. Please note that it may take up to 72 hours for your review to appear.